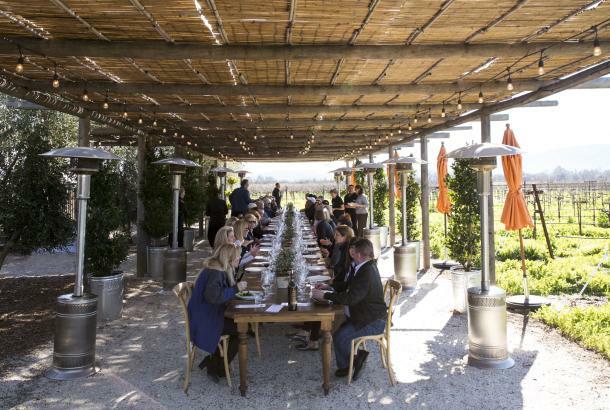 The food-and-wine-centric Napa Valley is always a welcome destination. In March, for example, plenty of athletic types will be descending on the valley for the 40th annual Kaiser Permanente Napa Valley Marathon on Sunday, March 4, 2018. For the non-marathon-types, if you’re fitness-focused or intent on not gaining a few pounds, it might be a little, um, problematic. No worries, healthy people, we have a full roster of venues and activities that will send you home more fit than when you arrived. There are a number of local resorts and spas that offer fitness-oriented packages or activities. Auberge du Soleil offers a self-guided “Auberge Purification Ritual” that follows the traditional use of temperate water baths, steam, and rest for cleansing and restoration of your whole being. 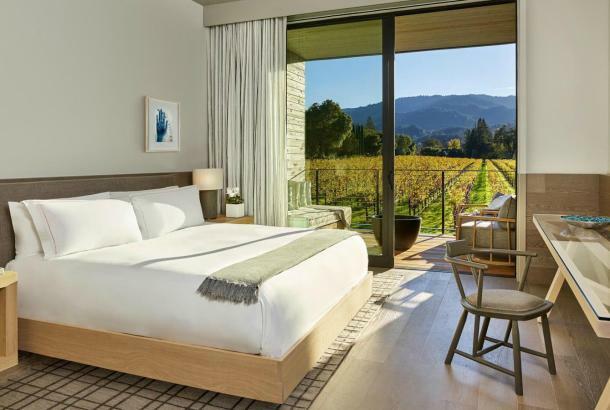 Calistoga Ranch features the 150-minute “Calistoga Cure” – invigorating and exfoliating with a therapeutic mineral salt body scrub followed by a private outdoor bath. Then rest quietly while receiving an energy balancing session, and finish with the resort’s Classic Ranch Massage. At Solage, couples can share a relaxing day with lunch for two at Solbar, two 60-minute massages, and two Signature Mudslides. Beyond those offered at your place of accommodation, here are some suggestions for three days of activities that will keep you energized and feeling good. We’ve structured each day’s itinerary so that the mornings are physically active, the afternoons are focused on relaxation and meditation, and the evenings conclude with a light meal. For breakfast, go to the Oxbow Public Market and Hudson Greens & Goods, which has a curated selection of locally sourced, organic fruits and vegetables. The newly expanded juice bar offers other menu items as well, including toasted breads with house-made spreads, pre-made salads, bone broths, and other seasonal offerings to grab-and-go. They also feature weekly tastings featuring local farmers and other purveyors. Next, head over to Napa Valley Paddle where you can book a tour that includes kayak or stand-up paddleboard lessons and a shuttle to your launch point. You can either paddle the restored tidal wetlands and see Napa from the water, or explore the lush forested corridor into the Oxbow Preserve. The tour lasts 1.5 to 2 hours and goes about four miles before you’re shuttled back to downtown Napa. For lunch, grab a quick bite at Heritage Eats at the Bel Air Plaza. Here you can customize your own healthy menu from a selection of world food flavors, including Vietnamese, Jamaican, Brazilian, Mexican, Indian, and Middle Eastern. Thus fortified, make your way to the nearby St. Clair Brown Winery and micro-brewery. 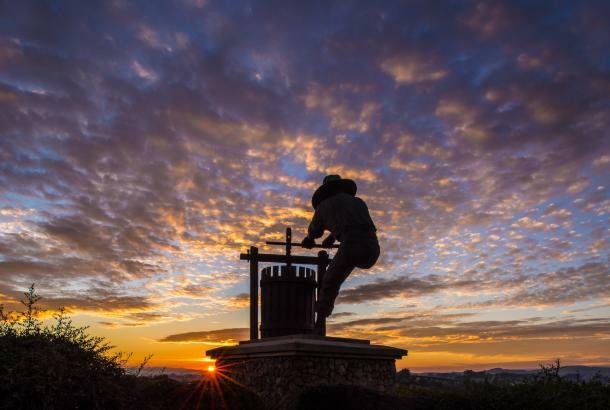 Take a tour of its culinary garden, winemaking and brewing, and do a tasting with light snacks. Another new winery, Ashes & Diamonds, just off Highway 29, offers some super healthy vegetarian food-pairing options. You’ve earned your daily relaxation: At the Meritage Resort and Spa you can choose from an extensive spa menu. Check out the 80-minute Herbal Compress treatment, in which heated herbal compresses filled with local organic herbs are used to massage muscles and joints while following body meridians to open the flow of Chi (energy). Or the Ultimate Renewal Experience (50 or 80 minutes) is a head-to-toe treatment that includes an invigorating two-part body scrub and a cocooning wrap with pressure-point scalp massage. It uses organic aromatherapy oils and warm, healing stones. After returning to your hotel to freshen up, you’ll want to have dinner at a place like Grace’s Table in downtown Napa. This “Michelin Bib Gourmand” restaurant serves a globally inspired menu with a focus on comfort foods from different heritages – but there are healthy options, as well. Try the seared ahi salad or the roasted young chicken with a pilaf of wild rice, quinoa, and butternut squash. Depending on how hungry you are, you can find a variety of custom juices and smoothies at Nature Select health foods. Or head over to the café at Farmstead Restaurant, which offers oatmeal-to-go, a yogurt parfait, muffins, and boxed salads for later. Then enjoy a winery-focused bike tour with Getaway Adventures (advance reservations required). 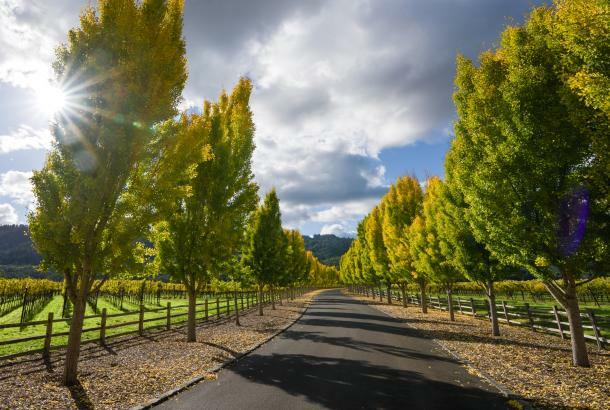 They have a wide selection of Napa Valley-based cycling tours that include tastings and lunch. Most run from 10 am to 3:30 pm. Or, if you’d rather find your own route, rent bikes and helmets at St. Helena Cyclery or Napa Valley Velo. Still looking for a lunch option? Make your way back to Farmstead Restaurant, which features two dishes that can be made vegan: the potato gnocci with veggies or an Arborio rice dish with veggies. A few side dishes are also vegan-suitable, and the kitchen is happy to accommodate other special requests. 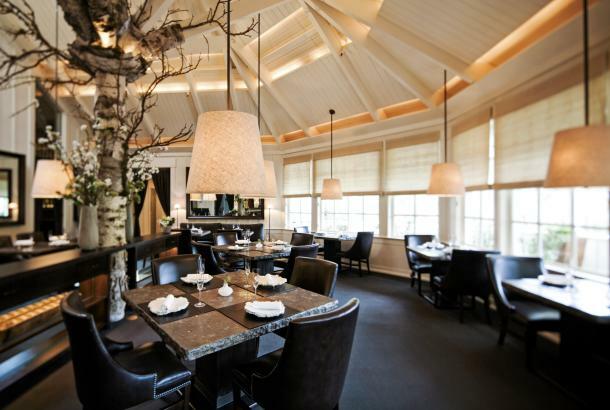 Later in the afternoon, check out the Essential Journey at Meadowood Spa. The 90-minute treatment will introduce you to the resort’s all-suite spa and includes a pre-treatment experience and wellness dialogue with a trained therapist coordinated with a 60-minute massage, other body treatment, or facial to step deeper into a state of overall well-being. The spa menu includes other treatments as well, of course. For dinner, go to The Charter Oak, the newest project of Michelin three-star chef Christopher Kostow. The cooking style here is described as “very elemental, featuring few if no garnishes, and highlighting one or two ingredients at a time.” Try the hearth-roasted figs with local honey, the raw vegetables with fermented soy dip, or the barbequed sturgeon with late summer beans, slow-cooked eggplant, pea shoots, and toasted almonds. Start your day at Sam’s Social Club at Indian Springs Resorts. Its full breakfast menu includes house-made granola with Greek yogurt, local fruits and walnuts with yogurt and honey, and avocado toast with a soft-boiled egg, toasted seeds, and arugula. 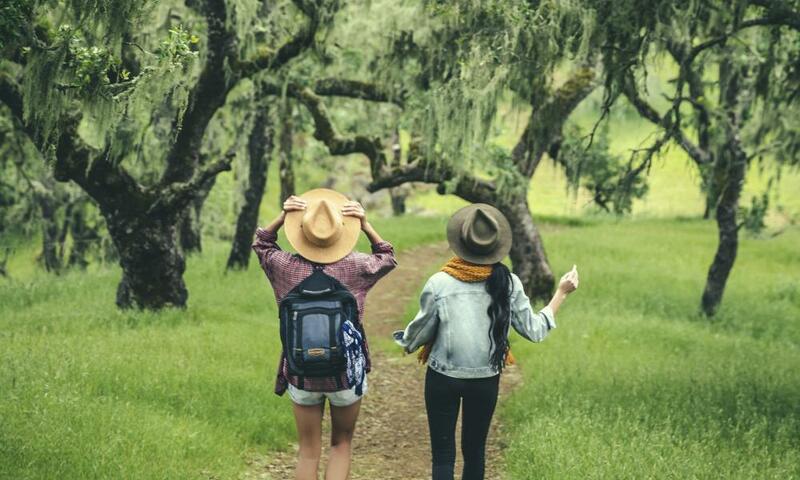 If you’ve booked a tour with Active Wine Adventures, you’ll take a guided hike in one of the Napa Valley’s beautiful state or regional parks, then enjoy an afternoon picnic lunch and estate-exclusive wine tasting at a nearby winery or a gourmet wine lunch at a local restaurant. For your final afternoon, you can try Calistoga’s signature spa treatment, the mud bath. (Or the more timid can opt for a hot springs experience.) Check out Indian Springs Resort, Dr. Wilkinson’s Hot Springs Resort, Solage, Golden Haven Hot Springs Resort and Spa, or the Mount View Hotel and Spa. There’s nothing like hot mud to soak the toxins right out of you before you get an hour-long massage. A perfect end to your wellness experience would be dinner at Calistoga Kitchen. Try the heirloom tomato and garden jalapeño gazpacho; the Little Gems and Brokaw avocado salad; the Hodo soy tofu with kohlrabi, potatoes, coconut milk, and jasmine rice; or the pan-roasted wild opah with fingerling potatoes, blue lake beans, roast tomato, bacon vinaigrette, and umami aioli. If, at any point, you have the time and want to find some wonderful, locally grown produce, there are terrific, seasonal farmers markets up and down the valley. 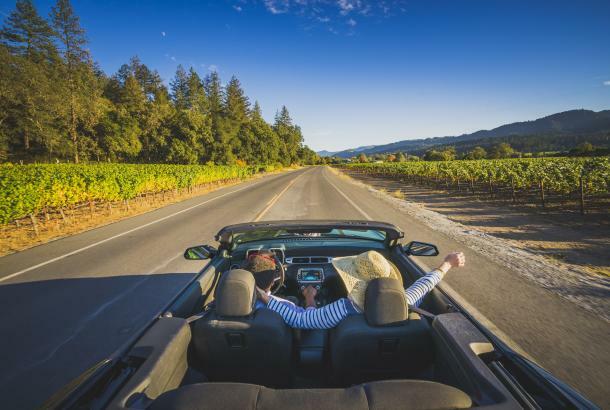 Now return home feeling fit and healthy – when you tell people you’ve just been to the Napa Valley, they’ll ask for your secret!